Regardless of whether they’ve heard of jazz or Art Tatum, young readers will appreciate how Robert Andrew Parker uses simple, lyrical storytelling and colorful and energetic ink-and-wash illustrations to show the world as young Art Tatum might have seen it. Tatum came from modest beginnings and was nearly blind, but his passion for the piano and his acute memory for any sound that he heard drove him to become a virtuoso who was revered by both classical and jazz pianists alike. 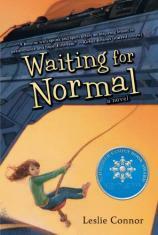 Twelve-year-old Addie's mother is a complete mess, even disappearing for days on end. Addie adores her stepfather, but then her mom divorces him, too. Despite all of the hardships she suffers, Addie always tries to keep hope in her heart. Someday life will get better. Won't it? Twitch, Jerk, Freak. Sam Carrier has been called them all. Because of his Tourette’s syndrome, Sam is in near constant motion with tics and twitches and verbal outbursts. So, of course, high school is nothing but torment. Forget friends; forget even hoping that beautiful, perfect Naomi will look his way. And home isn’t much better with his domineering stepfather reminding him that the only person who was more useless than Sam was his dead father, Jack. But then an unexpected turn of events unearths the truth about his father. And suddenly Sam doesn’t know who he is, or even where he’ll go next.